In 2011, the Federal Motor Carrier Safety Administration (FMCSA) redefined what qualifies as a “tank truck” and what CDL holders must do to ensure they are hauling freight legally. The FMCSA clarified the language of a previous rule and added additional requirements to make certain that drivers hauling liquid on our roads have the necessary training to transport it safely and effectively. 1. What is a tanker endorsement? 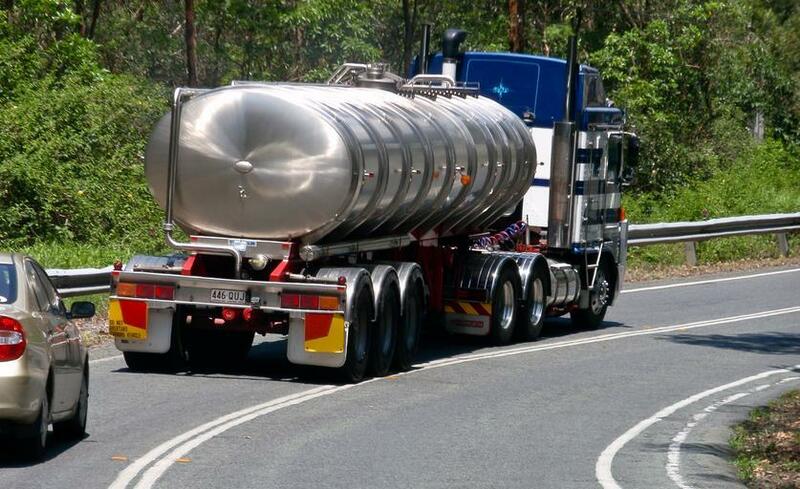 A tanker endorsement is an additional certification that the operator of a commercial vehicle used to transport bulk liquids must have on his/her CDL, which certifies that he/she has advanced training in hauling liquids. 2. What type of freight requires a tanker endorsement? Under the FMCSA’s guidelines, a “tank vehicle” is any commercial motor vehicle that is designed to transport any liquid or gaseous materials within a tank or tanks having an individual rated capacity of more than 119 gallons and an aggregate rated capacity of 1,000 gallons or more that is either permanently or temporarily attached to the vehicle or chassis. 3. What does THAT mean? 4. I sometimes ship liquid, but it always goes on a dry van. Does this still apply to me? 5. Okay, so my freight requires a tanker endorsement. What do I have to do now? This is where FreightPros can make your life easier! As long as the details of your freight are accurate, our dedicated freight professionals will be able to tell you immediately whether your shipment will require a tanker endorsement or not. If it does, we will be sure to contract a driver with that endorsement. As the last line of defense, your shipper can ask to confirm that the driver has the “N” endorsement on his/her license, which is the abbreviation for the tanker endorsement. 6. Now that I know my freight requires a tanker endorsement, how much will it cost me? Unfortunately, like most things in full truckload shipping, the only true answer is “it depends.” It’s a basic economics problem: your demand for drivers to haul your freight stays the same, but now the supply of drivers qualified to haul your freight has decreased, meaning your price will likely go up. The size of the price increase depends on many factors, but there’s no hard-and-fast rule. While there should be an expectation of a price increase, it should not be drastic, and depending on the origin and destination markets, your partners at FreightPros should be able to give you a general idea of how much additional money you should expect to spend on tanker-endorsed freight. 7. What happens if my freight needs a tanker endorsement, but the driver doesn’t have one? When CDL operators are hauling shipments, they are subject to being stopped and inspected by the Department of Transportation (DOT) at any time, with or without cause. If these drivers are inspected by the DOT and found to be carrying a shipment without the proper certifications, they can be put out of service. This means the driver will get a hefty fine, and the freight will be stuck until another driver and truck can complete the shipment. Of course, this is a very costly and difficult situation for all parties involved – making good communication between shipper, customer, broker, and carrier vital! 8. I think I’m ready to start shipping. What should I do now? Rules and regulations like the tanker endorsement can be scary, especially for those who are new to shipping or don’t often ship liquid materials, but FreightPros is here to help! If you are unsure about anything mentioned above or want more clarification about your shipments, please reach out to a member of our team by contacting us on our website, or via phone at (888) 297-6968. We look forward to helping you with your next shipment and making sure that it is hauled properly and safely to help grow your business!